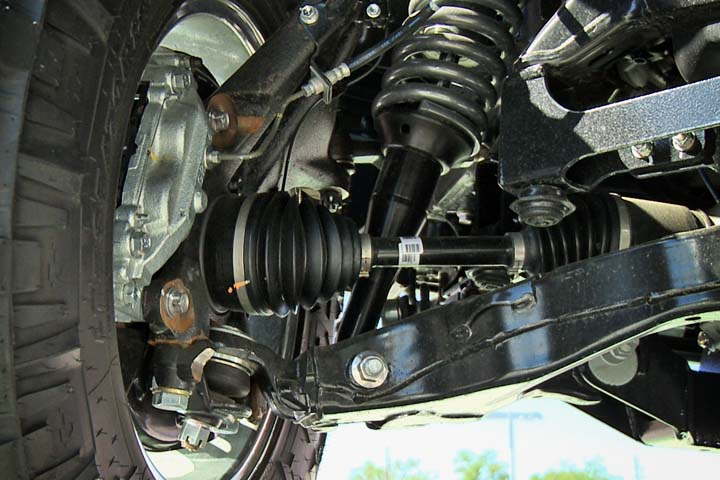 To see your suspension system, you'll have to look under your vehicle. Anything that connects the wheels to the vehicle's frame is part of the suspension system. They're heavy-duty parts that work hard while you're driving and take a lot of wear and tear. Because of this, you should have your technician at Tuffy Tire & Auto Service Center Millard look at them once a year as part of your preventive maintenance routine. A good time for it is every time you get your alignment checked. Shocks and struts wear out. Wheel bearings may need to be repacked every few years. Some parts of your suspension may need to be lubricated whenever you change your oil. Preventive maintenance is the key to keeping your vehicle under control. Good care can prevent accidents for Omaha drivers. At Tuffy Tire & Auto Service Center Millard, we advise Omaha drivers never to procrastinate on getting their suspension system repaired. A damaged suspension system can lead to loss of control of a vehicle in an emergency situation and serious accidents. Potholes are unsightly nuisances around Omaha, but they're also a major cause of suspension damage for Omaha vehicles. To avoid this, Omaha drivers should always keep their tires properly inflated. This gives the tires maximum resiliency. When you're driving around the Omaha area, avoid potholes if possible. If you can't avoid one, then slow down before driving over it. Slower speeds limit pothole damage. But if you're a little late detecting a pothole, don't brake on top of it. This will throw the vehicle's weight forward and increase the damage.